Traveling I-75 South, exit at North Avenue and turn left at the end of the exit ramp. Turn left at the third traffic light (Peachtree Street). The Fox Theatre is one block on the left. Traveling I-85 South, exit at North Avenue and turn left at end of the exit ramp. Turn left at the third traffic light (Peachtree Street). The Fox Theatre is one block on the left. Traveling GA 400 South to 85 South, exit at North Avenue and turn left at end of the exit ramp. Turn left at the third traffic light (Peachtree Street). The Fox Theatre is one block, on the left. Traveling I-75/I-85 North (I-20 to I-75/I-85 North), exit at the West Peachtree/Spring Street exit. Go to Peachtree Street (two blocks) and turn left. The Fox Theatre is two blocks on the left. 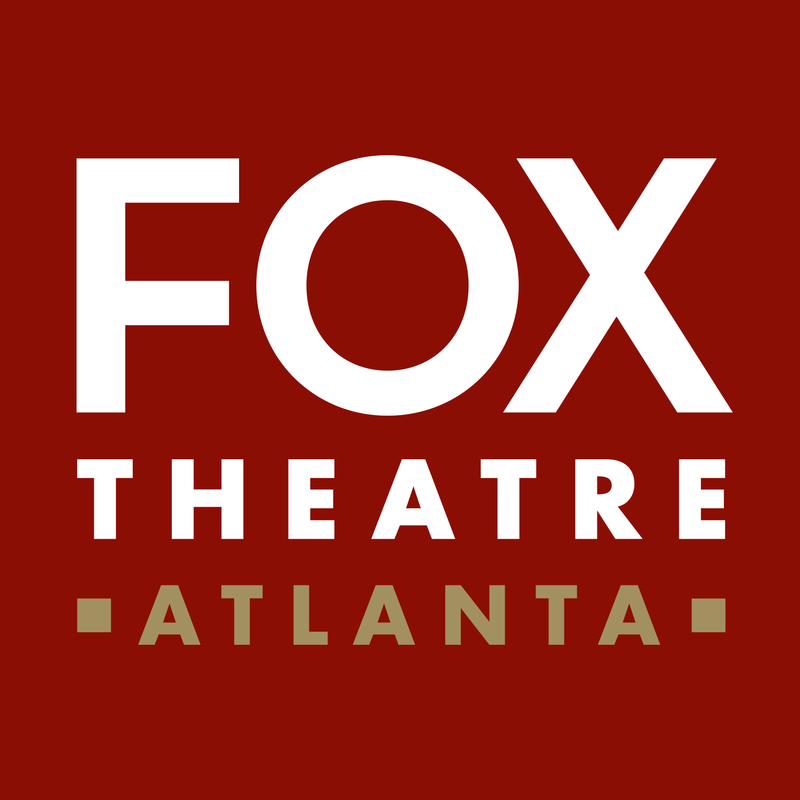 Avoid delays and frustrations coming and going from Fox Theatre events. Visit Georgia Navigator. A number of convenient public lots surround our theatre for your use. The cost to park is usually $5-$30. 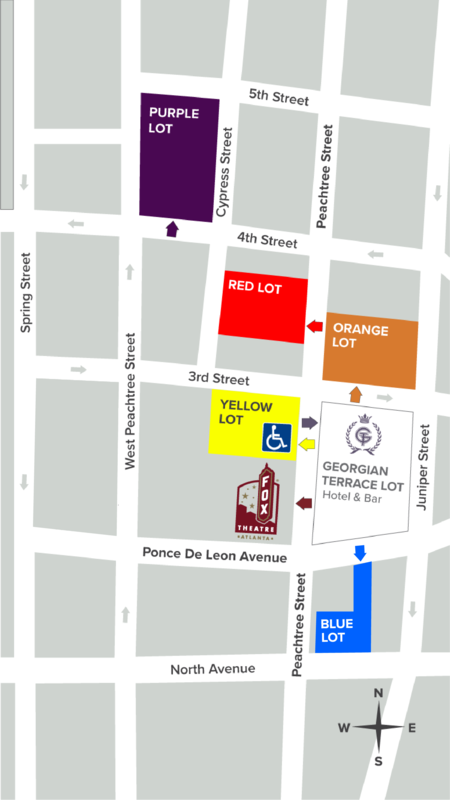 Please see our parking map to plan your parking. Please be aware that not all lots have an attendant on duty. You may wish to avoid these lots. Unattended lots can be more subjective to car damage.